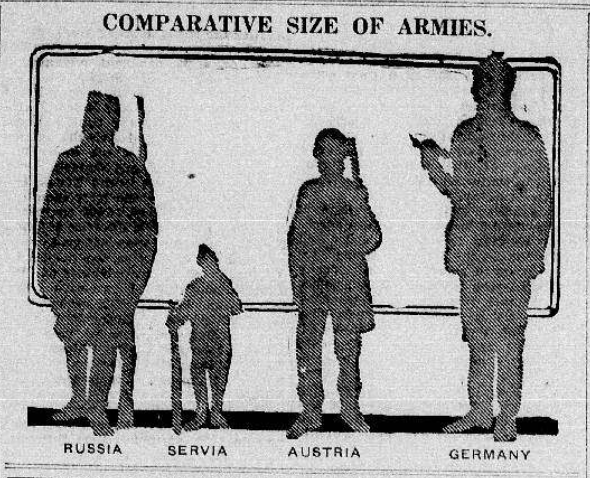 While World War I officially began on July 28, 1914, it took American media until July 31st to catch up to what was going on–likely in part because that was the day Imperial Russia announced its vast army was mobilizing in preparation for war. 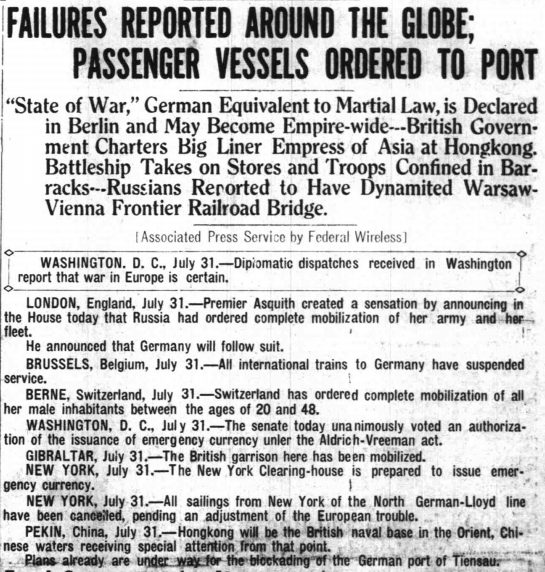 Also, dispatches from foreign correspondents were still relayed by telegraph in some places, so transcription and copyediting naturally took some time. 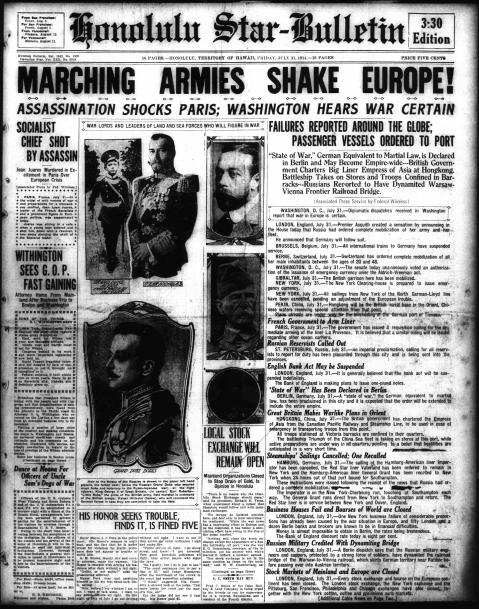 What’s interesting when surveying lesser-known papers like the Honolulu Star-Bulletin above is how much work they put in to their front pages announcing the beginning of hostilities. If anything, they were much more visually interesting (at least to a modern-day eye) than the staid and text-heavy New York Times or Washington Post (though these papers, in their defense, were often using the words of their own foreign correspondents, not press services). 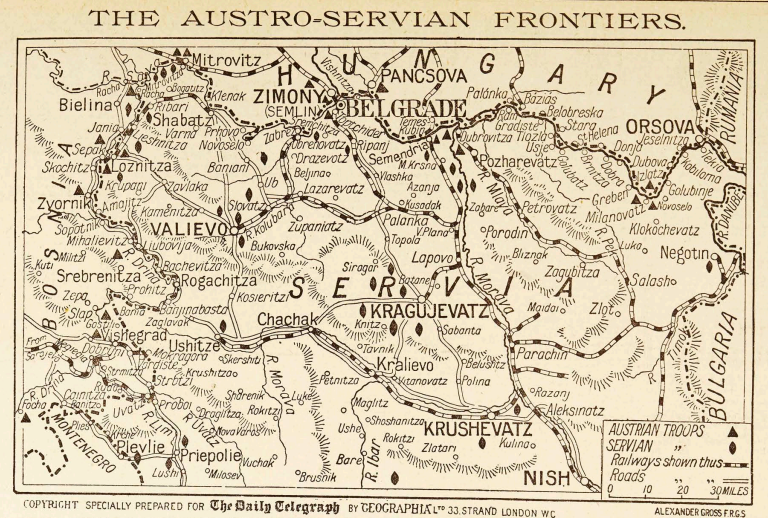 Though the media worldwide had paid close attention to the June 28, 1914 assassination in Sarajevo of Archduke Franz Ferdinand and his wife Sophie, it seems like July 31st was the moment everyone realized the size and gravity of what was happening on the Continent. They saw the lightning, and even as far away as Honolulu, Hawaii, they were waiting on the thunder.